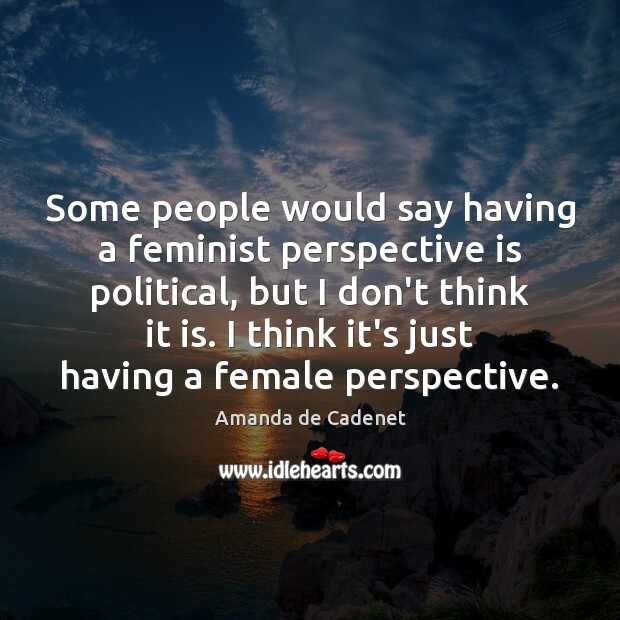 Enjoy the best inspirational, motivational, positive, funny and famous quotes by Amanda de Cadenet. Use words and picture quotations to push forward and inspire you keep going in life! 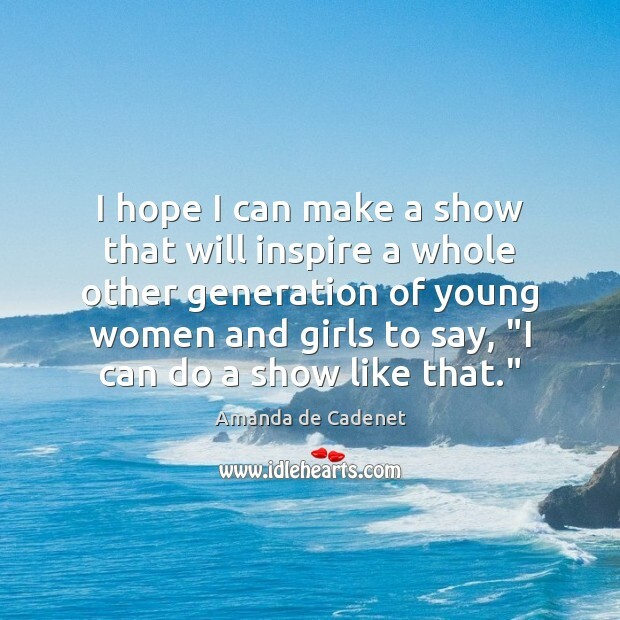 I hope I can make a show that will inspire a whole other generation of young women and girls to say, "I can do a show like that." 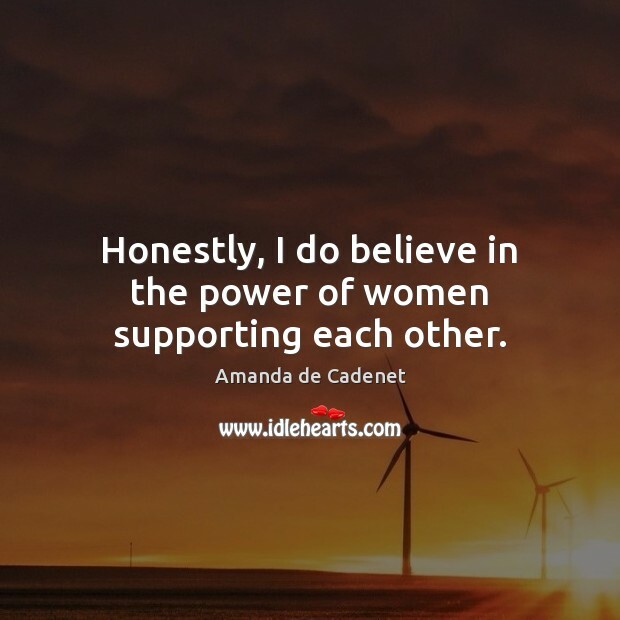 Honestly, I do believe in the power of women supporting each other. I try to make things that are not elitist. There's enough places in the world where we're excluded. I do not ever want to be contributing to that. 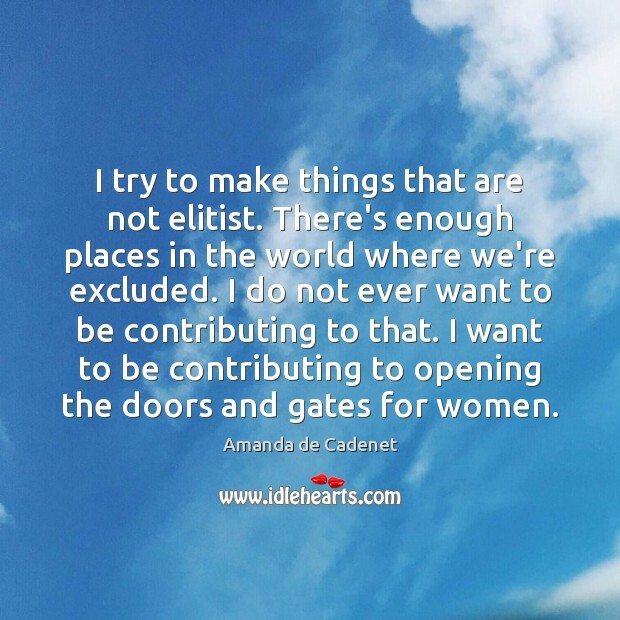 I want to be contributing to opening the doors and gates for women.